Most business deals start with an informal document memorializing the terms of the transaction to be negotiated. Known interchangeably as a Memorandum of Understanding (MOU) or Letter of Intent (LOI), such documents are often intended to be non-binding. In some circumstances, however, parties can be bound to a “non-binding” MOU or LOI regardless of its express statement to the contrary. A recent Delaware case called Siga Technologies Inc. v. PharmAthene, Inc. shows just how this unwelcome result can come about. Obligation to Negotiate: Although the term sheet in the Siga case explicitly stated that it was “non-binding,” it was attached as an exhibit to other documents that required the parties to negotiate with each other in good faith, which created external obligations to negotiate pursuant to the term sheet. Defendant Advantaged by Negotiations. The Plaintiff in the Siga case made a loan to the defendant during the course of their negotiations, and later tried to change the terms they previously agreed upon. Although the negotiations eventually failed, the defendant benefitted by negotiating with the plaintiff by virtue of that loan. Change in Circumstances. In SIGA, economic conditions changed drastically in favor of the defendant during the course of negotiations, which removed the incentive of negotiating in good faith. Evidence of Regret. The Defendant had made internal communications indicating it regretted entering negotiations, and also told the Plaintiff that there would be “nothing to talk about” if it rejected the alternative terms the Defendant presented. Likelihood of Agreement. Based on the evidence presented, the court determined that the parties would have reached an agreement if the Defendant hadn’t acted in bad faith. Reasonable Certainty of Lost Profits. The court also determined that there was reasonable certainty of the existence of the plaintiff’s lost profits. If a term sheet is intended to be non-binding, it should explicitly say so. Moreover, if you’re serious about reaching a deal, you may consider including a provision that limits how long the negotiations should take (i.e., a few days), to limit the possibility that circumstances change during the course of closing the deal. Limit the Types of Damages. To prevent a court from awarding expectation damages, set forth limitations on the types of damages a party may seek if the term sheet is breached. 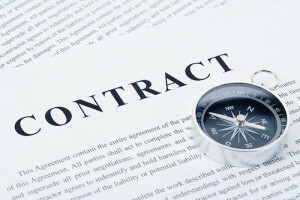 Finally, in light of the possibility of expectation damages being awarded, you may be better off if you skip the MOU or LOI, and move directly to negotiating a definitive agreement.